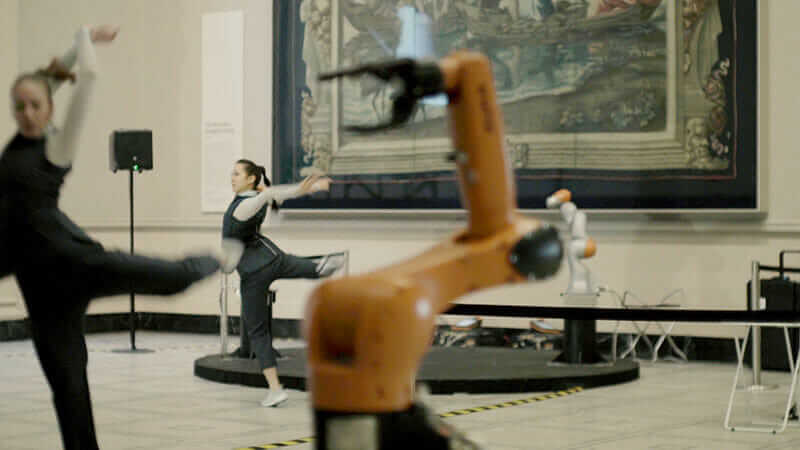 We will discuss human/machine interaction, aka dancing with robots. Human work and machine work do not have to be separate, in fact the combination can be very interesting. The tables of these two robots, as well as the human involvement, are crucial to the function of the robots. The tables are not just hard flat surfaces and the robots do not do everything themselves. So far we’ve seen flat MDF tables (waste boards) on X-Carves, aluminum mill beds on the Othermill, and paper on a flat surface for all of our pen plotters. The table does not need to be solid or flat. It can have holes in it. It can flex. Or not be there at all. Keep this in mind when designing your bots. 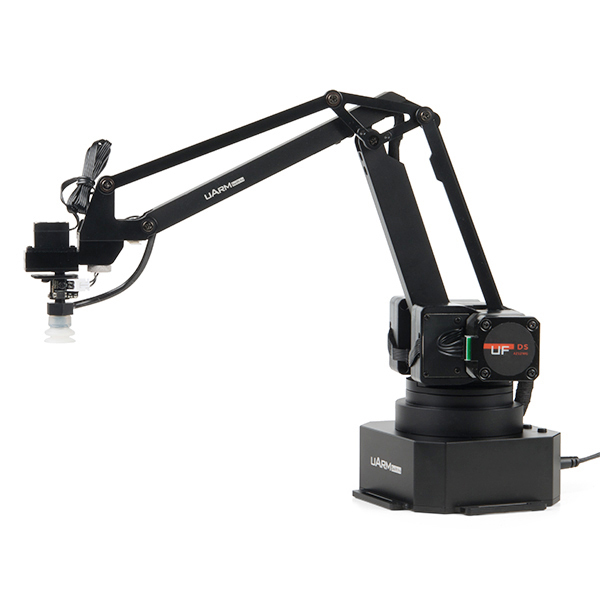 Built around an Arduino Mega 2560, the uArm Swift Pro is an open-source and DIY friendly robotic arm platform developed for makers and educational purposes. This little bot is extremely easy to use, almost anyone can learn how to play with it in a few minutes. The uArm supports visual programming as well as Arduino, Python, GRABCAD and ROS programming providing plenty of options for any range of user. The easiest way to start is with Offline learning mode which requires no coding experience or complicated assembling at all. You simply need to power it on, press record, teach the arm what to do by dragging it and that’s all. Let’s take a few moments to discuss our initial ideas for our final projects. Don’t be afraid to have a human component in your robot. There is no shame in having a human element in your robotics project, in fact, it can add something very interesting. He builds hardware and software. He created Nodela, a software package to control an off the shelf CNC machine. Develop your final project ideas. Think about what you want to do. What hardware you want to use. Who you want to work with. After next week, we will be focusing primarily on our final projects. File for X-Carve half table.